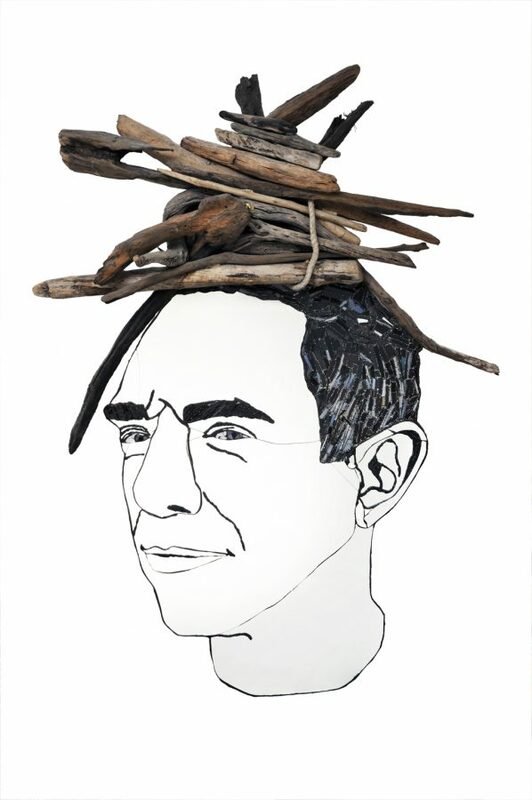 A large wall-mounted portrait in relief, incorporating driftwood, with direct references to Jarman’s Dungeness beach home. Made of wood, driftwood, glass, glitter, and resin. Shown at the Ruthin Craft Centre (2008), “Memories of the Glasshouse” (2014), and “Mirror Man: Andrew Logan Portraits” at the Fashion & Textile Museum, Museum Foyer: 6 February – 3 May 2015.